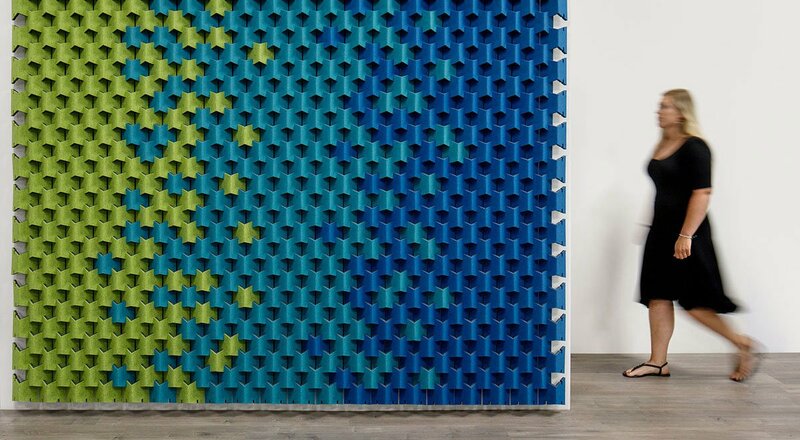 Scale turns the acoustic wall panel on its ear. 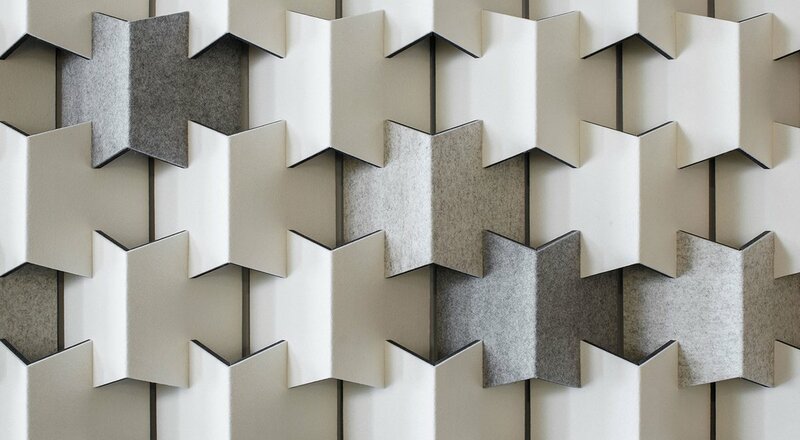 Designed as a university project by Vanessa Busemann and Felix Zebi with German design collective, Cabs Design, this modular wall system is made from cut and folded acoustic fiber composite with 100% wool felt covering. The clever slotted design allows modules to fit together and hold securely with just the friction of the material and mounting to the wall is a snap with magnetic attachment hardware. 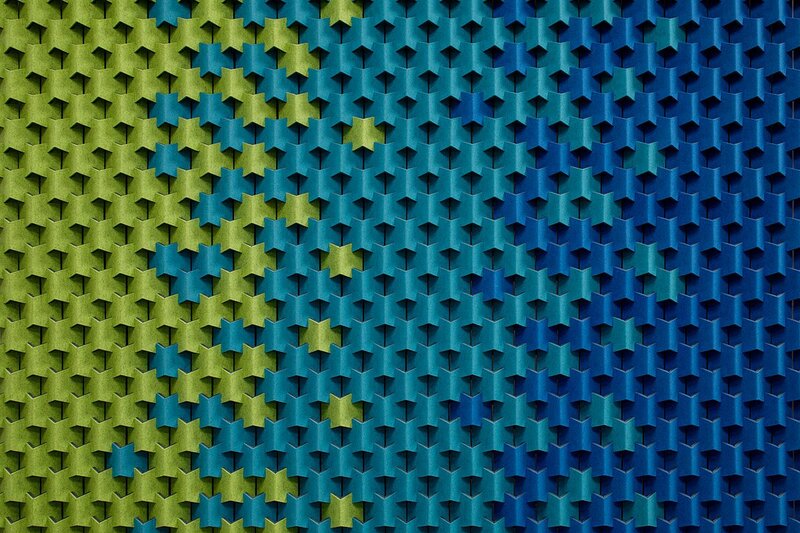 The acoustically effective, three-dimensional modules come in two sizes plus 63 colorways of wool felt to create customizable patterning that’s not just another pretty face. In the summer of 2014, an interior design session at the University of Applied Sciences Mainz in Germany brought sixteen students together to investigate, experiment, and collaborate on the design possibilities of textile fiber composites. Their hard work and sharp investigative skills paid off in a wide range of designs. 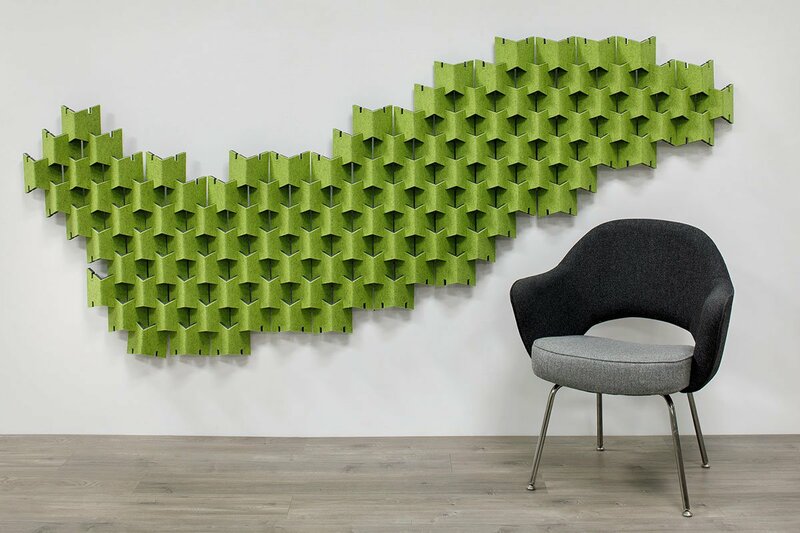 One design by Vanessa Busemann and Felix Zebi was Scale—a modular, plug-in system of cut and folded acoustic scales. Their instructor, Professor Bernd Benninghoff, saw the potential (and had three partners that could put the designs into production) and Cabs Design was born. This German design collective focuses on German-made acoustic fiber composite and 100% wool felt in innovative and unexpected acoustic products.